CellsMr | All Load cells, scales and balances Cells Mr.
All Scales; Scalemarket.com, you local online weighing store all over the world, day or night we are always here to serve you! We are more than just a weighing store we are the scales and balance SUPERSTORE with over 20,000 different products to chose from, all related to the balance weighing industry. 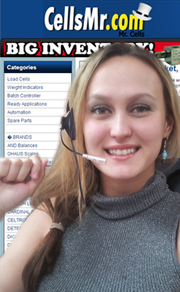 We distribute all the scale brands available in the market from scales to balances and indicators. We carry the most famous and highly recognized balance brands, including AND balance, Fairbanks scales, Rice Lake, Sartorius, Mettler Toledo, Salter Bracknell and Ohaus as well as many others. We have been providing many different markets with our expertise and services since 1985 such as the agricultural industry, food industry and medical instruments industry. SEN 1500 weighing indicator adopts high anti-jamming Single-chip microprocessor and high precision A/D conversion technology, wildly applied in platform scale, platform balance and other weighing applications. 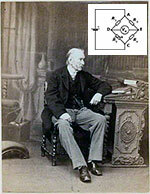 In 1833 a British Mathematician Mr. Samuel Hunter Christie wrote the “diamond method” ; this theory was used in 1843 by Mr. Charles Wheatstone to submit in paper to the British Royal Society, the electric properties of metals, like a method for comparing millivolts electric circuits in those metals; the Wheatstone bridge concept has born. Since those days this Load cells concept was apply in measurement with high accuracy the very low electric resistances in different material, used now in force measure, temperature force, pressure force and weigh, using in the load cells measurements; used as weighing sensors, digital load cells, electronic load cells or analog load cells and sensors for many laboratory balances and Industrial scales. Since 1997 Load Cells Mr., is leader in manufacture load cells with the Brand Sentronik, and distribute many other brands like Vishay, Sensotronics, Revere transducers, Tedea Huntleigh, Celtron, HBM, BLH, Artech, Anyload, Coti, Amcells, Rice Lake load cells, Cardinal, Fairbanks, Ohaus, AND, Dillon, Flintec, Salter and Sartorius.